Why is it so important to focus your website? All business websites need to stand out from the crowd. Whether you do it yourself or engage a professional web designer there are some golden rules to consider. Building a website is fraught with traps if you don’t do enough pre-planning. 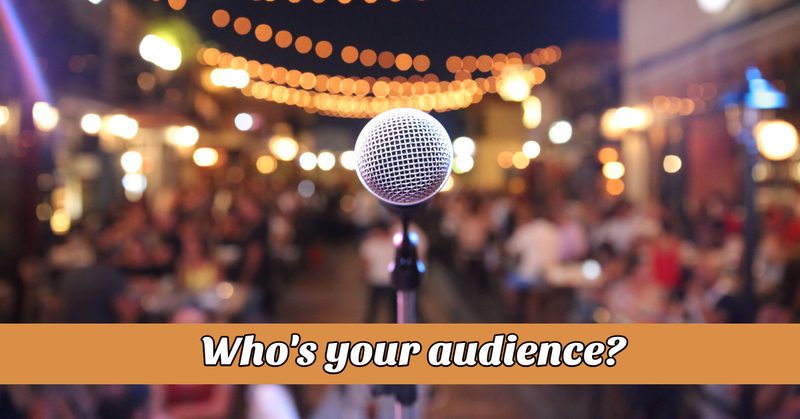 A major aspect of getting things right is understanding who your desired audience is. Don’t design a website for everybody. If you set up your pages expecting everyone to react the same way think again. The reality is that you don’t want everyone to land on your page as most won’t really want or need your products or services. Conversely, if the design has your core customer base in mind you are far more likely to achieve the result you are after. Try designing an audience model that outlines their attributes (e.g. goals, values, demographics, social status, barriers to purchasing from you etc). This is often referred to as the customer ‘avatar’ or ‘persona’. Whatever you want to call them it’s crucial to understand who they are, what they are after and how to reach them. Keep this in mind when you add anything to your site – make sure you know why you are adding it and who is it for. Having a clear framework from the outset avoids developing the wrong features. WHO – When you understand your audience (e.g. female + male, teenagers + retirees, other businesses, freelancers) means you can focus on the features they are expecting to see and are prepared to respond to. WHAT – Understand what types of content to present and how much is required to get the result you are after. WHY – Clearly provide at least 3 reasons why a potential client should contact you or purchase directly. Tactics include good quality products images, user feedback, personal testimonials and authority conveyed by content such as blog posts. HOW – Make it obvious what you want a visitor to do. Generally, this is via a highly visible button and links to purchase something, make an appointment, make a call or download an asset while capturing an email address. Knowing how things are tracking on your website is easily achieved by connecting your site to Google Analytics. You can see, among many other metrics, how many people have visited your site, where their country, how they found your page, how long they spent on your site, how many pages they viewed and whether they took the action your required. Having this information over a period of time enables you to see what you can optimise by making changes on the site. If your business needs a re-focus and you need some help, we’d love to hear from you. Book an obligation-free, 30-minute chat to get things started.